← The Sports Archives – 2013 Kawasaki Ninja 300, a Massive Recall! The Sports Archives – Super Bowl Watch 2014! On Sunday, January 19, the Denver Broncos’ quarterback Peyton Manning will lead his team in the game against opposing quarterback Tom Brady and his New England Patriots. This will be a rousing game as Brady and Manning go head-to-head for the 15th time in their legendary careers. I grew up watching these two greats battle against each other, so I’m excited to see them play together again on Sunday. Although Brady has a 10-4 advantage (including 2-1 in the playoffs), Manning now has a more talented team. The teams are evenly matched, as was evidenced by their overtime game earlier this season. According to bleacherreport.com, the Broncos have an edge in four categories and the Patriots in three, with one a tossup (read the full article here). Bleacher Report believes that the Patriots’ Bill Belichick would win the coaching matchup, but noted that the Broncos have home-field advantage. 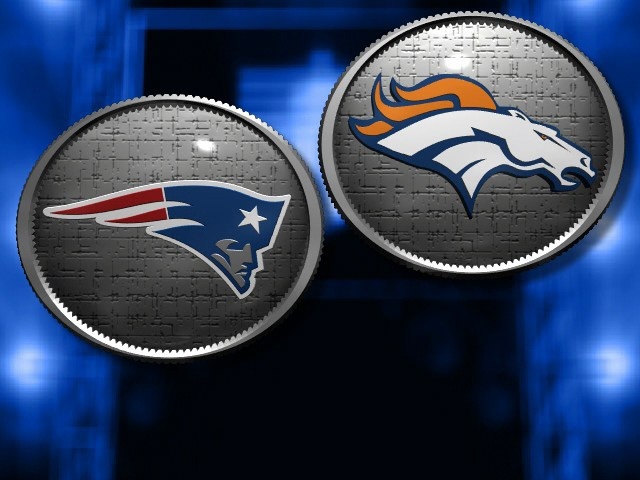 They wrote, “The Broncos’ passing game and the Patriots’ running game will make the difference, although it’ll be intriguing to monitor how New England moves through the air against Denver without cornerback Chris Harris in the lineup.” Though it’s guaranteed to be a tight match, the neck-in-neck game should make it even more interesting for fans. 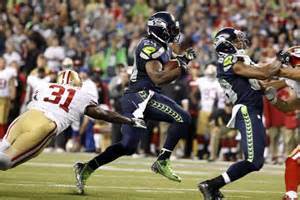 On Sunday, January 19, the Seattle Seahawks will host the San Francisco 49ers on their home turf. Since the postseason, fans have been excited about this game, since the teams have had some memorable games over the past few seasons. Earlier this week, the Seahawks announced that they will only sell tickets to fans in six different states (Oregon, Washington, Montana, Idaho, Alaska, and Hawaii.) Their goal is to eliminate 49ers fans from the mix, thereby giving their team a fan advantage. 49ers coach Jim Harbaugh isn’t concerned by the decision, though: “It’s within the rules. It’s within the spirit of the rules of the National Football League,” he stated. “I actually respect it, what you’re trying to do for your team, put them in the best possible position to win that you can. And I respect that their organization does that for their team. They do that in a lot of ways, with their team, with their fans, with their organization. So, what do I think of it? I respect it.” Will this decision give them an advantage? Only time will tell. The winning teams, of course, will head to the Super Bowl next month. Regardless of which two teams duke it out, the game is guaranteed to be a great sporting event. And the Bowl will also draw in countless non-football fans that rally around Super Bowl parties and the much-anticipated commercials. I’ve been keeping up to date with breaking information about the teams over at Sports Illustrated, and I’m excited to see which teams triumph in the games on Sunday. Who do YOU think will head to the Super Bowl? Will Chavez is an aspiring sports journalist. His favorite sports to cover are football and baseball. This entry was posted in Football and tagged American Football, Bill Belichick, Chris Harris, Denver Broncos, Football Blogs, Jim Harbaugh, New England Patriots, NFL, NFL blogs, Peyton Manning, San Francisco 49ers, Seattle Seahawks, sports and leisure, Sports Archives, Sports Blogs, Super Bowl 2014, Super Bowl blogs, Super Bowl commercials, Tom Brady, Vince Lombardi Trophy. Bookmark the permalink. 1 Response to The Sports Archives – Super Bowl Watch 2014!